Sometimes I wish my eyes were deceiving me. 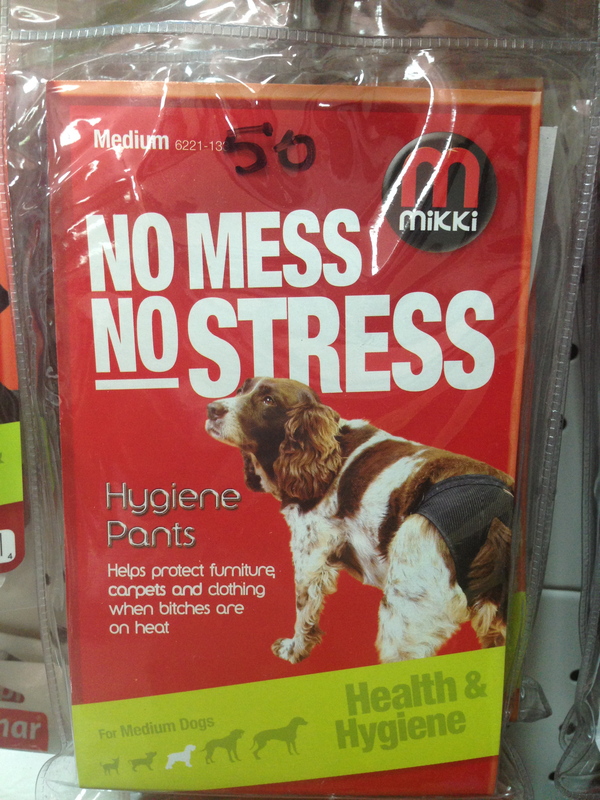 Hygiene pants for a dog?! Has anyone actually seen any animal wear one of these in Qatar?